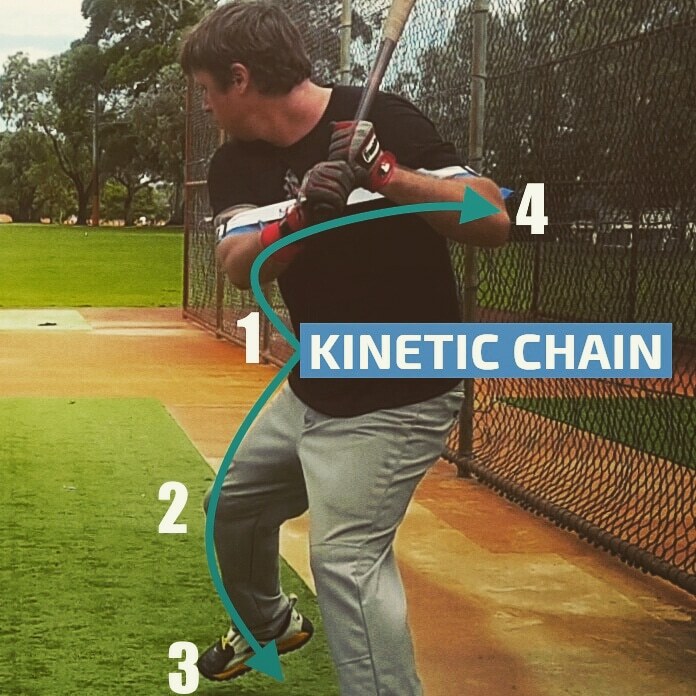 Image: The Kinetic Chain, big muscles leading your small muscles. 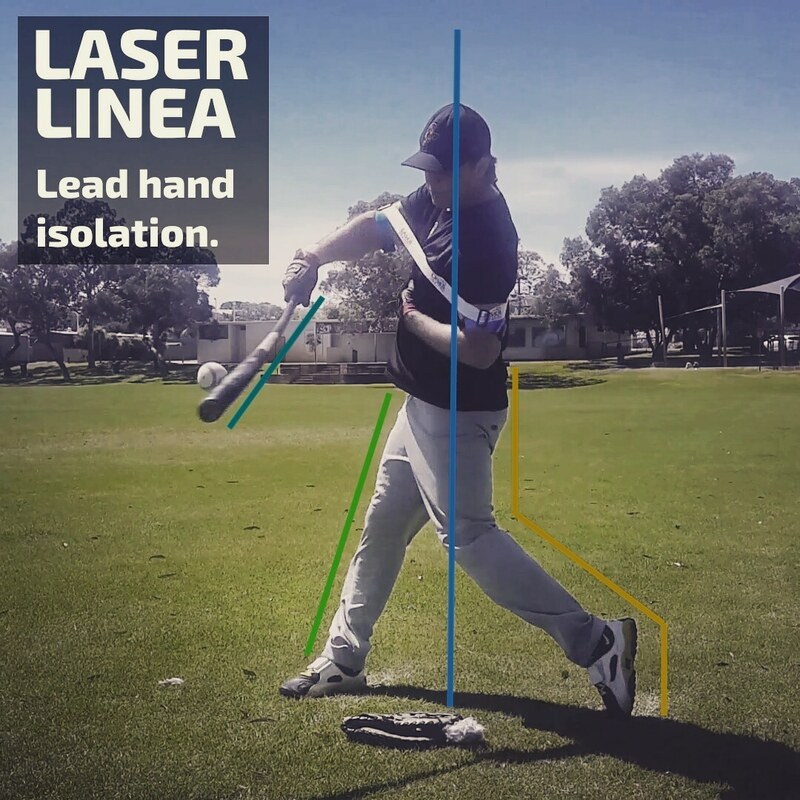 Image: Practice one hand isolation drills to improve your rotational hitting skills. 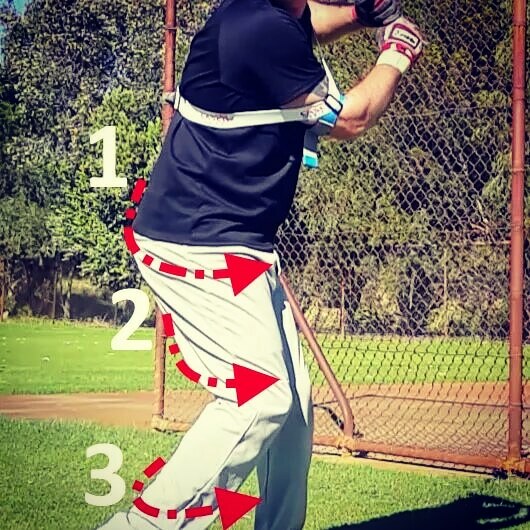 Avoid over-swinging with your arms/upper-body; focus on turning the back leg from your core/hips, reaching the tips of your toes at contact. 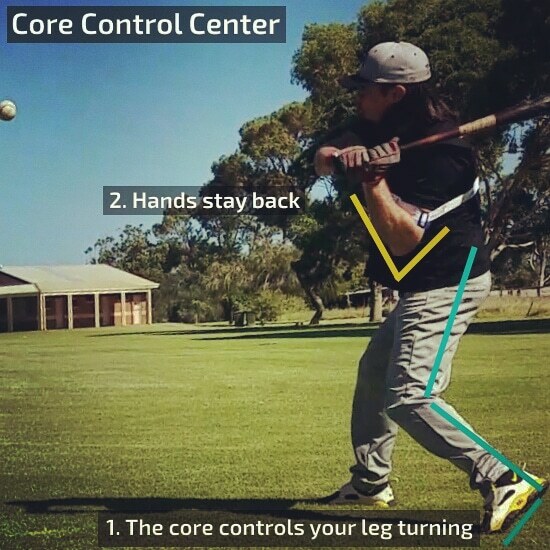 Correct core mechanics improves bat speed and power. 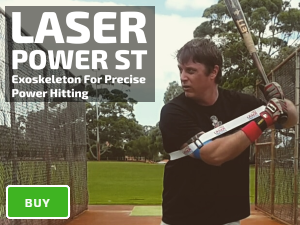 Avoid focusing on your arms, the engine room for rotational power hitting is your core. 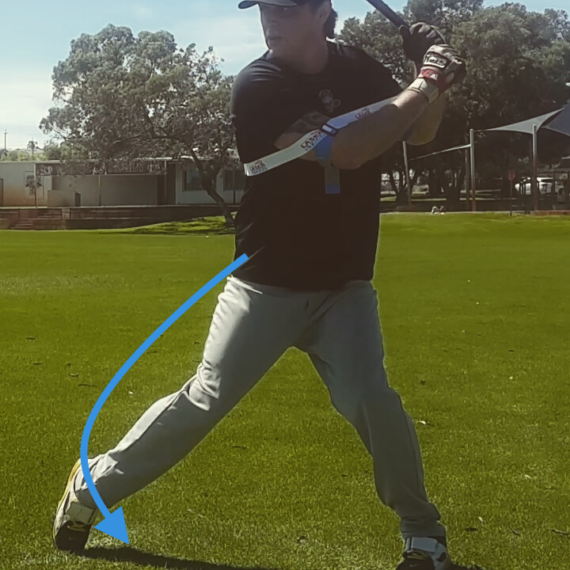 Fast rotation is critical for hitting a dominant up-and-inside fastball. 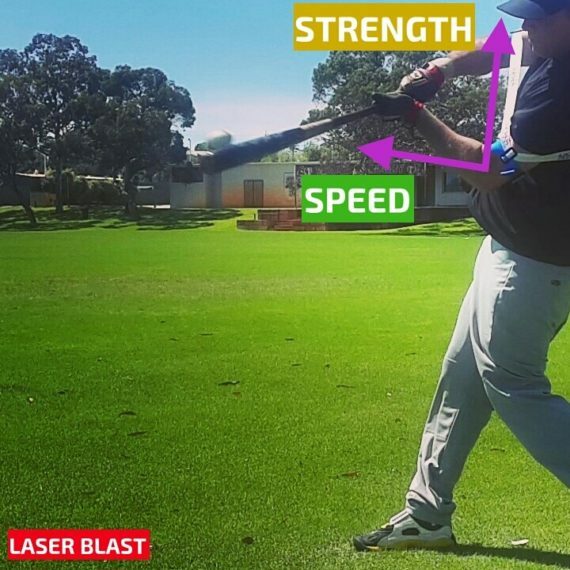 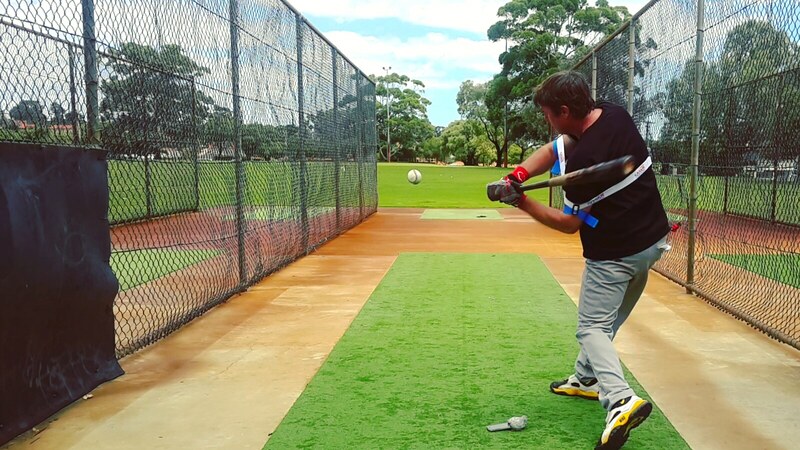 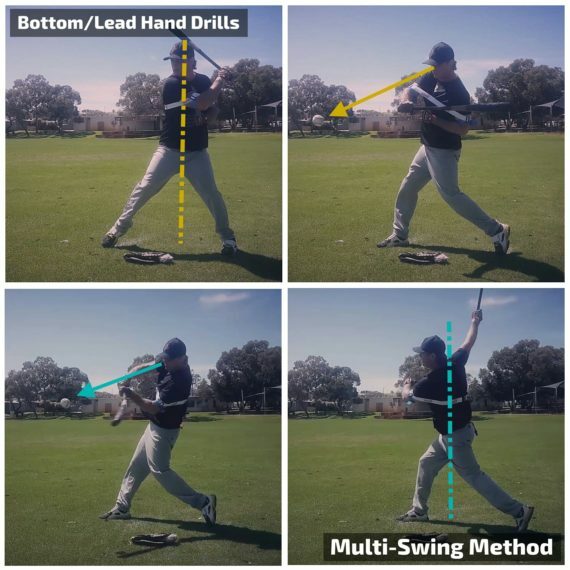 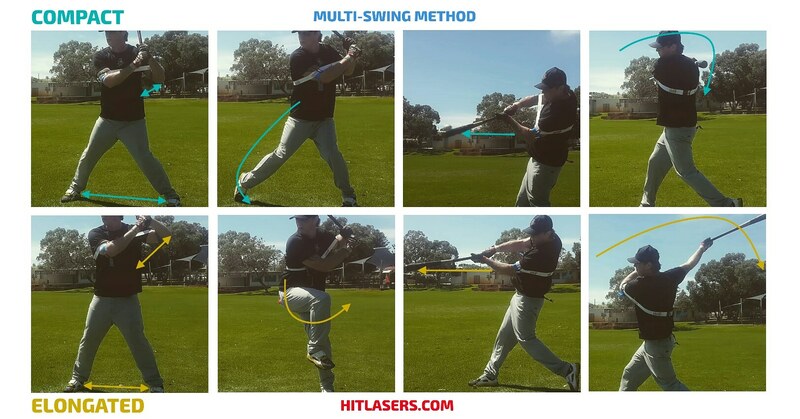 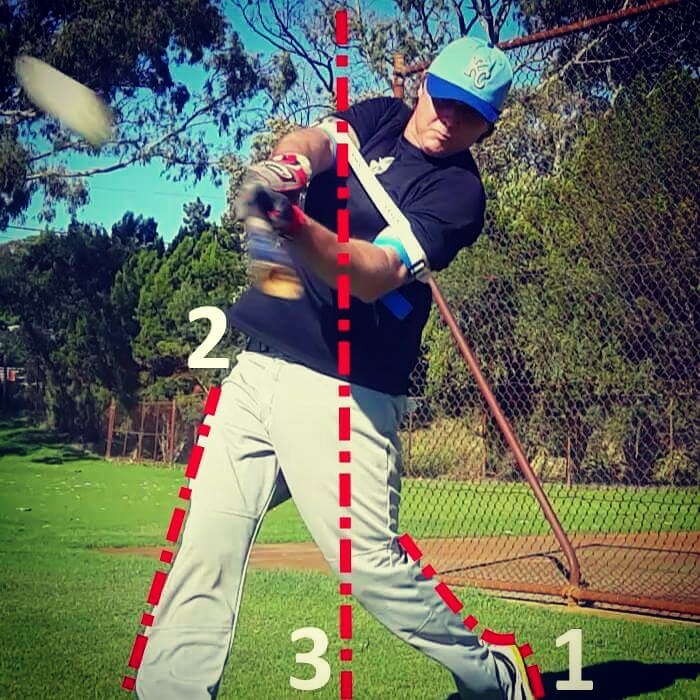 Our rotational hitting aid trains a compact and powerful swing.